MERRITT ISLAND, Florida - The Brevard County Sheriff’s Office has arrested 18-year-old Joshua Joseph Rodriguez, of Rockledge, Florida for a shooting that occurred on Saturday, June 24, 2017, in the 500 block of Lincoln Avenue in Merritt Island, Florida. The investigation began after deputies responded to Lincoln Avenue concerning an emergency 9-1-1 call reporting a male had been shot in a drive-by shooting. When deputies arrived, they located the gunshot victim and provided medical treatment to his non-life threatening injuries until Brevard County Fire Rescue arrived and transported him to a local hospital. Deputies then began to interview witnesses in the area and learned the suspect of the drive-by shooting had fled the area in a maroon Nissan SUV. Moments after receiving this information, East Precinct deputies located a vehicle matching the description and conducted a traffic stop. The driver, and sole occupant was identified as Rodriguez, and was also found to be in possession of a .380 handgun. Investigators say that statements attributed the Merritt Island shooting as retaliation for a previous shooting in Cocoa, Florida. 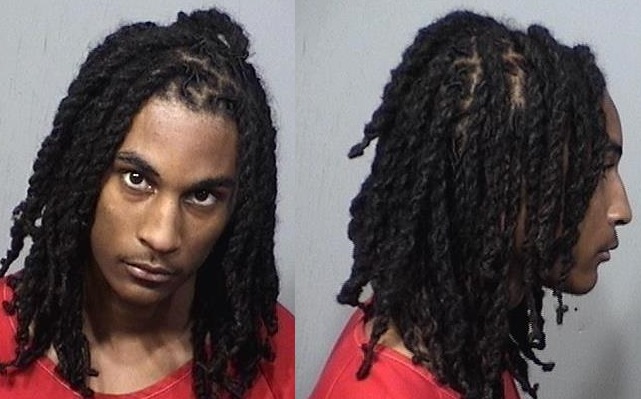 Rodriguez was charged with Attempted Murder, Use of a Firearm in the Commission of a Felony, Discharging a Firearm from a Motor Vehicle, and is currently being held at the Brevard County Jail on No Bond. Anyone who may have information about Rodriguez or the incident is asked to please call Agent Raonel Barrial of the Brevard County Sheriff’s Office East Precinct General Crimes Unit at 321-454-6640 or CRIMELINE at 1-800-423-TIPS (8477).